Showing results for tags 'plug and play harness'. All, Due to the overwhelming interest in folks wanting to upgrade their mirrors, I wanted to start this thread, hopefully, with all the information pertaining to the process of upgrading your mirrors, the different mirror types, the GM supported upgrade path, the non-GM supported upgrade path, what all is involved, and any known issues. I receive about 15-20 PMs daily around this upgrade. I will try to respond to all as I am able to. Please read through this entire 1st post in its entirety as I hope it answers all your questions. I also hope that this thread is your “one-stop shop” for all questions surrounding this upgrade. I have spent MANY months (since June 2016) trying to understand these mirrors and what all is involved to make the upgrade successful. Like many of you reading this thread, you have probably spent countless hours researching online, reading threads upon threads, and watching YouTube videos for some info and guidance. For those that have tried this upgrade on your own, you have probably ended up with the same results of something not working correctly, which ultimately landed you back here on the Forum. I have helped numerous members here achieve the same upgrade desires with success. This started out with me wanting to upgrade the standard DL8 Mirrors on my 2016 Silverado, 1500, LT, CCSB, 5.3L Gas Truck. I have helped members with Standard DL8 Mirrors upgrade to DL3 Mirrors as well as members wanting to upgrade to Towing Mirrors. So, let’s get started… Mirror Types: DE2 Mirrors - These are the basic mirrors found on W/T Trucks. They do not have power anything. They are manual adjust, manual fold, etc. DL8 Mirrors – These are the most common mirrors found on LT/SLE trucks and are the next level from DE2 Mirrors. DL8 Mirrors are Heated, Power Adjust, and Manual Fold. If your truck has 1LT/2LT options, this will most likely be the same mirror. DL3 Mirrors – These are mirrors are the “Premium” version to the DL8 Mirrors that most folks are wanting to upgrade to. These mirrors are typically found on your higher trim LTZ/High Country and SLT/Denali trucks. These mirrors are: Heated, Power Adjust, Power Fold, Turn Signal, Puddle Lamps, and Auto Dim (Driver’s Side). Towing Mirrors – These mirrors are the larger mirrors designed to help with towing. These mirrors can be found as options in some 2500/3500 Heavy Duty Trucks. They come in (2) main flavors. DPN – These are Manually Folding, Manually Extending, Heated, Turn Signal, Cargo (also referred to as Courtesy Lamps), and Clearance Lamps (also referred to as Park/Running Lamps) DQS – These are essentially the same as DPN except they are Power Folding and supports Mirror Memory if your truck has this feature. Aftermarket Towing Mirrors – There are TONS of aftermarket options out there. The result should be the same (for the most part) on the upgrade. The way that manufactures “pin” their connectors, they typically pin them the same as the GM - OEM ones. Watch out for any Manufacture that says they have the “option” of adding a separate harness or connector for added functionality. If it’s not already in the connector, I would stay away from those or contact me for mirror connector customization. [/url] Note: RPO Code - K40 Option (Exhaust Brake) for Diesel Trucks. If you have a Diesel Truck, you will NEED to get the appropriate DL3, DPN, DQS Mirror WITH the K40 Option. This is basically a temperature sensor on the passenger side mirror. Without this, you will get a Check Engine Light (CEL) error come on with an “Ambient Temperature” message on your DIC (Driver Information Center). This is NOT an issue with Gas Trucks. You can install a passenger mirror with the temperature sensor on a gas truck with no issue (I am using a K40 optioned DL3 Mirror on my truck). Here is a video I put together on the entire process. This video covers the following: Removing the Door Panel Removing the Door Harness Installing the Power Fold Switch [/url]GM Supported Upgrade Path – Upgrade DL8 or DL3 Mirrors to Towing Mirrors: There is a GM Supported Upgrade path for those that have DL8 or DL3 Mirrors that want to upgrade to Towing Mirrors. Reference the “Vehicle Acceptability for Retrofit” for details – Document ID# 4174686. Can also be found here. https://www.dropbox.com/s/q4eldhgg2x8i10q/Camper%20Mirrors%20-%2023371780.pdf?dl=0 If you have questions on what RPO Codes your truck has, please check your glove box for details. There are possible BCM and/or Memory Module Calibrations required that can only be done at the Dealer. Please check with your dealer on the upgrade and these calibrations. I do not know what these calibrations actually do. They seem to be the most required on trucks with the A45 RPO (Seat Memory) code. So this applies mainly to LTZ/High Country, SLT/Denali trucks wanting to upgrade to Towing Mirrors. If you are an LT/SLE trim, you shouldn’t need any BCM calibration. You certainly won’t need a memory module calibration, because an LT/SLE doesn’t have Seat Memory and therefore, won’t have a Memory Module. For those that require the RZY Harness – Part # 23387133. Installation instructions can be found here. https://www.dropbox.com/s/pz2y2o9kj02g66p/RZY%20Installation%20Instructions.pdf?dl=0 Installation of the RZY Harness is a very detailed/technical process that requires you to add the missing “pins” to the driver and passenger door hinge connectors (on the body side). It also involves landing the other end of these missing circuits into the BCM (for the turn signals), X61A Junction Box (for the Cargo lamp), and under the hood (through the firewall) into the X50A Fuse Block (for the Park Lamps). This is MOST common on 2014 Trucks and some early 2015 Trucks. You can also confirm this by removing the X500/X600 Door Connector like in the photos below. If you are missing pins, be prepared for some work ahead of you. If you do need the RZY Harness, I created a "How To" Installation Video here: Here is an additional video showing the detail of the RZY Harness. Non-GM Supported Upgrade Path – Upgrade DL8 Mirrors to DL3 Mirrors. For those that have DL8 Mirrors, there is NO - GM Supported upgrade path to upgrade DL8 to DL3 Mirrors. This is a custom application that requires either: A custom DL8 Harness (made by me), a DIY KIT (also made by me) to add the wires yourself, or you can hardwire this yourself using your own methods. Your existing DL8 Harnesses will NOT be pinned for the Turn Signal, Puddle Lamps, Ground, and Auto Dim (Driver’s Side) circuits. I WILL support you in any direction you end up going with. If you try to install the DL3 Harness with your DL3 Mirrors, you will have turn signals, puddle lamps, and heat working. You will lose all functionality of the passenger side mirror and some adjust functionality of the driver side mirror. This is due to the DL3 content differences with how these functions are achieved and based on the A45 Seat Memory option. If you have a Gas Truck, you can use either DL3 Mirror options with or without the K40 (Exhaust Brake) Temperature Sensor. To achieve Power Fold on your DL3 Mirrors, you will need a new Driver’s Side - Mirror Adjust Switch which has the Power Folding option. Part # 23154702 has been the most common part #. This part is a simple drop in and swap out of your existing Mirror Adjust Switch. No other harness modification required to achieve Power Folding. Power Fold options can be added to either the DL3 Mirror upgrade or the Towing Mirror upgrade. Also, there are two variations of the Power Fold Switch - Part # 23154702 and Part # 2348841. As you compare the photos, you’ll notice that the connector portions are keyed DIFFERENTLY. One is symmetrical and the other isn’t. Please do NOT force your connector if you feel resistance. If it doesn’t fit, there is a reason why. If you force the connector (which some people have), you will blow a fuse. For Reverse Tilt (mirrors automatically tilt down when in reverse) and Key Fob Fold/Unfold (ability to fold/unfold mirrors with Key Fob) – These features are supported by the BCM/DIC Options and are not supported in this upgrade. These features are found in the higher trim LTZ/High Country and SLT/Denali models. Note: I am currently testing an aftermarket mirror fold module. If you would like information on that, here is a thread I created for that. http://www.gm-trucks.com/forums/topic/196138-2016-silverado-lt-fold-your-dl3-mirrors-with-your-fob-like-an-ltz/ 2014 – Known Issue: On 2014 Trucks, there is a known issue where the Puddle Lamp Circuit doesn’t supply the needed 12 Volts to the mirrors to power the Puddle Lamp. When measured, there is only 2.8 Volts being sent by the BCM. This results in a dim puddle lamp. A workaround for this is to perform a “diode mod” from the Dome Lamp Circuit to the Puddle Lamp Circuit. Diode needed is 1N4004. If applicable, I will include a diode for free when you buy my Custom DL8 Harness. Puddle Lamp Diode mod instructions can be found here: https://www.dropbox.com/s/ehhoz7vtq8j7g87/Puddle%20Lamp%20Diode%20Mod.pdf?dl=0 WT/LS – Trim Owners: I had the opportunity to work with a few members' truck who were WT, Trims. Trucks had the convenience package. This package has power windows, power mirrors, and power door locks. I can confirm that you can upgrade to DL3/DPN/DQS (or most any other mirror) IF you have power adjust mirrors. I was also able to help one with manual adjust mirrors Custom Plug and Play Harnesses – $285 Shipped to (50 US States - for Canada, please add $47.95) I offer a Plug and Play harness for either the DL3 Mirror upgrade or the Towing Mirror Upgrade. Custom Harness Set (Driver and Passenger) is $285 Shipped via USPS Priority Mail, Canada - please add $47.95 Each harness is carefully unwrapped, modified, and built like factory using the same gauge wiring and terminals/pins as GM, and rewrapped using automotive harness tape. Auto Dim (Driver’s Side) circuits are added to the Driver’s Side Harness for use on DL3 Mirrors. In the event, you add an Auto Dim Rear View Mirror later, your Driver’s Side Door harness will be already pinned appropriately to support the upgrade. I offer a $100 Core Refund when you send your stock harnesses back to me. Support by me through the entire upgrade process until you have achieved the desired the result. 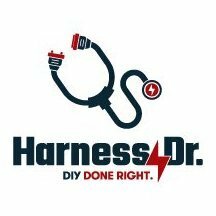 Full Refund (minus shipping) if my custom harnesses don't work. Custom DIY Kit – $65 Shipped (Ships First Class Mail with Tracking - for Canada, please add $10) For those that want to perform this upgrade on your own, I offer a DIY Kit. Kit is $65 Shipped, ships First Class Mail with Tracking. $70 Shipped to Canada This kit will have the pre-terminated wires with the pins crimped according to the application. Instructions created by me, detailing how to perform the upgrade process along with wiring diagrams for Driver/Passenger sides and where to land the wires. You would be responsible to installing the wires/circuits into your existing harnesses. Disclaimer: You are performing this work at your own risk. I will also provide you with ANY information regarding this upgrade even you don't buy from me. My goal is to help everyone achieve their mirror upgrade goals. If you decide to move forward with ANY purchase or if you have additional questions, please let me know. It is helpful to know all the details of your truck to provide the best possible solution. For example: 2016 Silverado, LT, 1500, Crew Cab, 5.3L Gas. Thanks, everyone! Hope to help as many people as I can to achieve this upgrade! Please enjoy this Time Lapse Video to get an idea of what is involved with the customization of the harness. Each set takes about 1hr to modify, plus another hour test. So a completed set is roughly 3 hrs to build and test. How to remove the DL8/DL3 Mirror Caps. How to remove Tow Mirror Caps.